Somewhere in cyberspace, an anonymous scribe is preparing an entry for Fisker Automotive, Inc. in Wikipedia’s List_of_defunct_automobile_manufacturers_of_the_United_States. 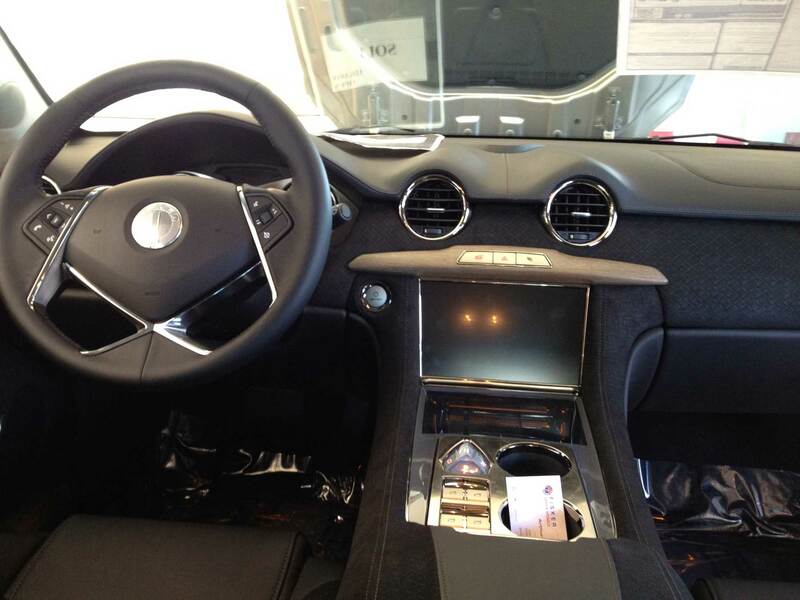 2012 Fisker Karma. R.I.P. 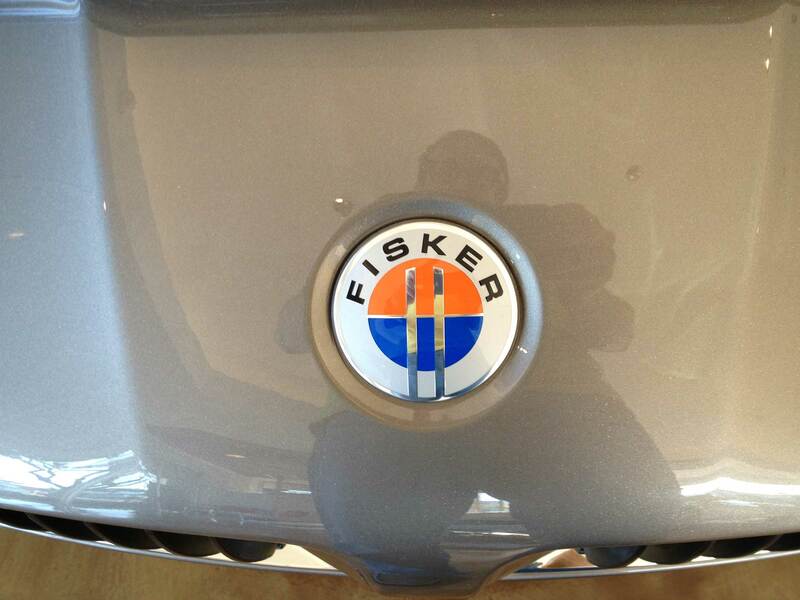 Fisker Automotive, Inc. 2007-2013. Fortunately for investors in Fisker Automotive, this week the media’s attention is focused on much more serious events happening in Boston. Sure, Fisker’s filing for bankruptcy will make the news, just not for nearly the number of news cycles usually devoted to this kind of failure. Bloviating “experts” will excoriate the Obama Administration for giving Fisker a $528.7 million Department of Energy “Advanced Technologies Vehicle Manufacturing” loan. Automotive executives will say that they knew Fisker had bad karma. Blah, blah, blah…. The Fisker Karma’s interior looks nice, except there were lots of complaints about sloppy workmanship, poor fit/finish and cramped quarters. In Los Angeles, we have different tea leaves that pick winners and losers in the rarefied niche market of advanced technology hybrid and electric vehicles. Roaming our streets on a daily basis is a never-ending parade of beautiful, fast, exotic, expensive and classic cars – not to mention the countless hybrids. LA has a large enough market for low-volume high-tech, advanced drivetrain vehicles that low volume, expensive cars have a place here. If we like it here, the vehicle and/or its underlying technology stand a good chance of expanding and flourishing. On any given day driving around Metro LA, you can see exotic cars like the Honda FCX Clarity, a Tesla Roadster or a Mercedes-Benz B-Class FCV (Fuel Cell Vehicle). The Chevy Volt is more popular than the Chevy Cruze. The BMW ActiveE isn’t a stranger. Last year, the Toyota Prius was the best-selling vehicle in California – no surprise to anyone as you can’t drive anywhere without being surrounded by them. The Coda sedan. CODA Automotive’s first and likely its last car. When CODA Automotive opened up its first store in the fall of 2011, in the Century City Shopping Mall, I visited the store and tested the Coda – the company’s first offering, an all-electric sedan. That was November 2011 and I pronounced the Coda dead-on-arrival. The $45,750 (later reduced to $37,250) Coda was far to expensive, even with up to $10,000 in federal and state tax credits. It borrowed styling from a decades-old still-born Mitsubishi econobox and I found it primitive and uncomfortable. It was a battery and a drivetrain in search of a body. No one bought it. By the time CODA Automotive abruptly ceased nearly all operations in December 2012, the LA Times reported that it had sales of no more than 78 vehicles based on a recall notice issued by the National Highway Transportation Safety Administration. I never saw one on the open road. By contrast, the Nissan Leaf was less expensive, thoroughly modern, futuristic-looking and far better equipped. And the Leaf was backed by an extensive network of Nissan dealers. Last year, Nissan sold 9,819 Leafs. Last month (March 2013), Nissan sold 2,236 Leafs. Today, the Leaf is a common sighting in LA. With the arrival of Fisker Santa Monica in 2011, the stage was set for “volume” sales of the highly-anticipated Fisker Karma, an extended-range electric vehicle. 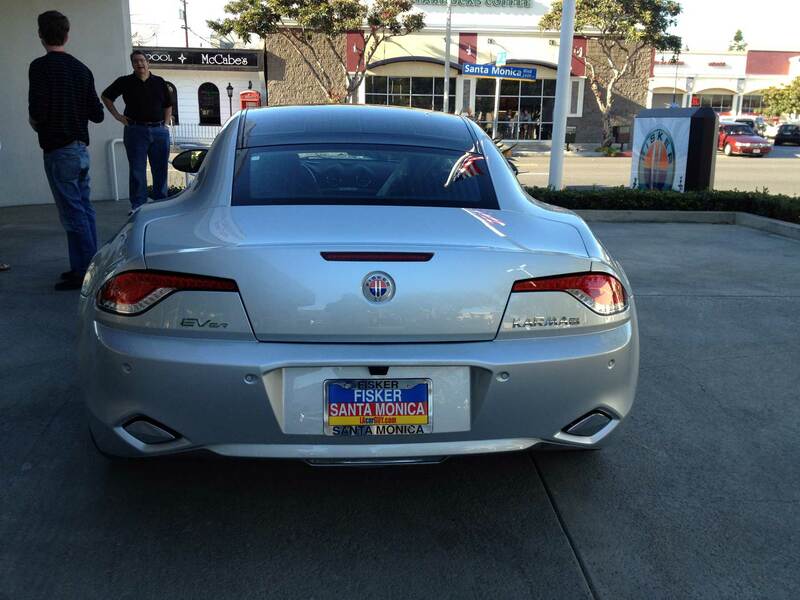 Suddenly the Fisker Karma was all over the wealthier areas of Metro LA. 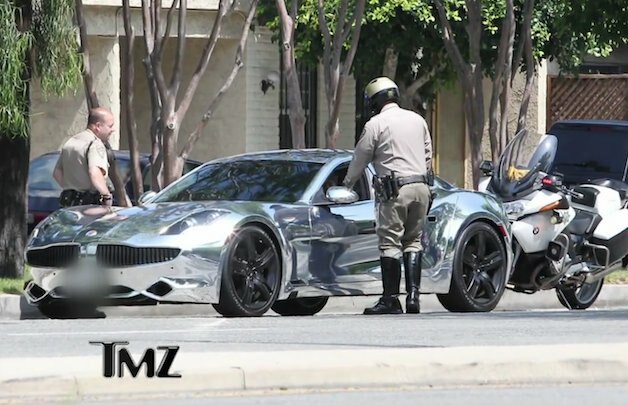 Justin Bieber bought (or was given) one painted in bright chrome and was notoriously chased by the paparazzi. Leonardo DiCaprio had one. Wealthy Santa Monica entertainment executives with the need for a green veneer but a disdain for a common Toyota, were customers. In 2012, the curvaceous cramped, four-door, six figure, five thousand three hundred pound Karma became a common sight in LA. It was like the iPhone 5 of the wealthy eco-conscious car buyers. Flash with a bit less guilt. But as with everything in the tech industry, things can change instantly and customers are fickle. The batteries caught fire. Consumer Reports bought a Karma and it bricked. Battery packs were recalled. Fisker stopped production of the Karma and lost thousands of cars in Super Storm Sandy. On October 16, 2012, A123 Systems, Inc., the supplier of the battery pack for the Karma, did the corporate version of bricking. 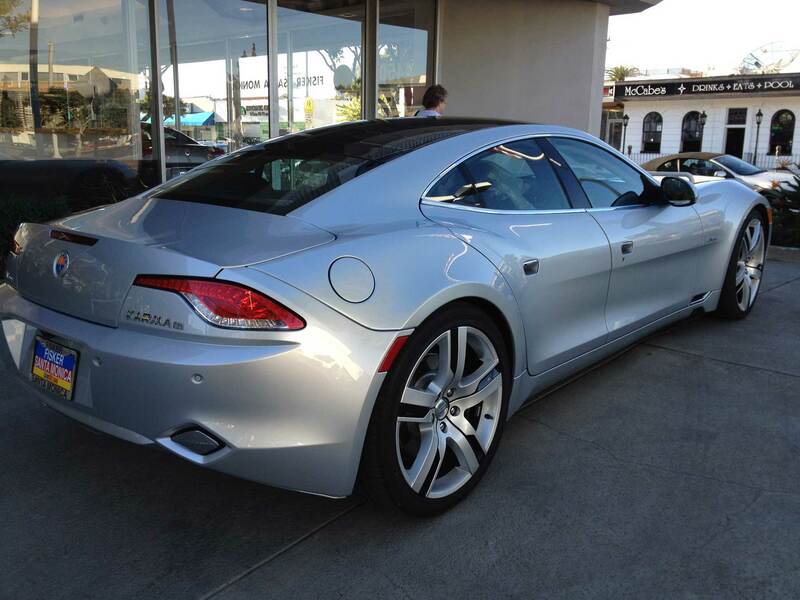 The Fisker Karma had a very fetching hind quarters belying its porky 5,300 curb weight. Even if 2012 had been clear sailing for Fisker, its fate was sealed when the pure electric $100,000 Tesla Model S debuted last July. With the 85 kWh flat-floor battery pack, an EPA certified range of 265 miles, a much larger interior and gobs of cargo capacity, that stunning 17 inch infotainment/control display and sports car handling, suddenly the $100,000 Karma’s 32 mile EV range and “extended range” of up to 300 miles didn’t seem so impressive. 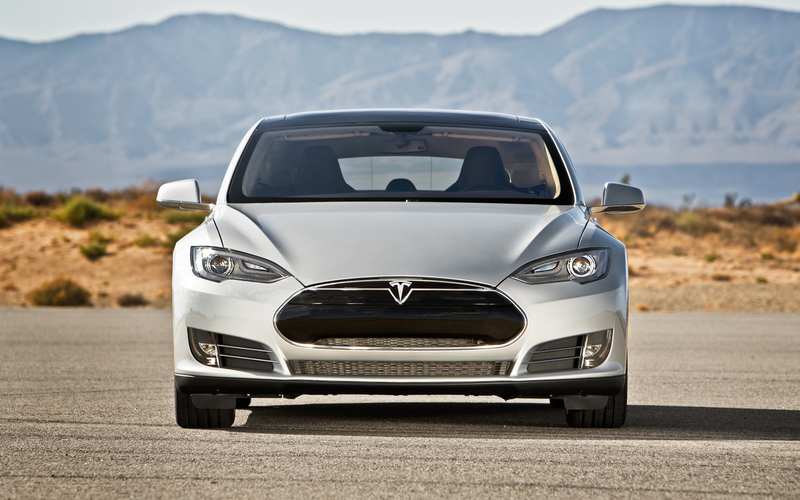 The 2013 Tesla Model S won Car of the Year awards from both Motor Trend and Automobile Magazine. 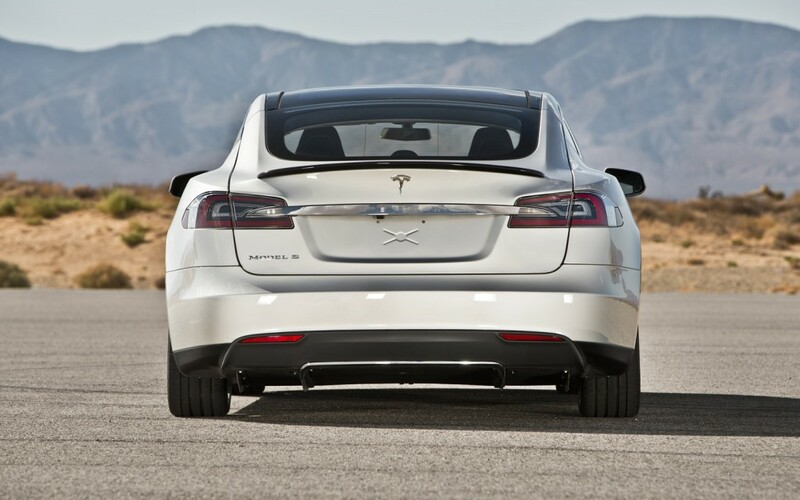 Then, near the end of 2012, the Model S snagged two very important COTY awards from Motor Trend and Automobile Magazine. 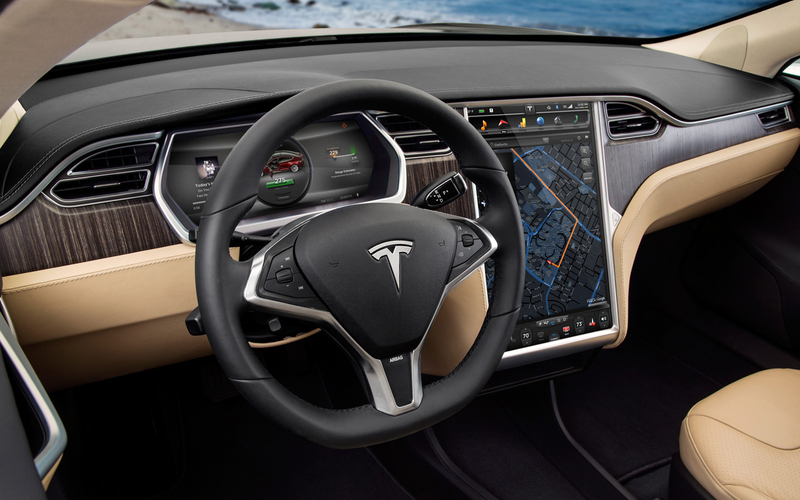 The LA-based orders started to pile up for the Model S.
Almost all controls inside the Tesla Model S are accessed on the brilliant 17 inch full-color, fully-internet enabled center touch screen. You might see the tail end of the Tesla Model S more often than the front because this car is seriously fast and can easily blow past the most powerful German sedans. A black hole has been sucking the Karma off the streets of LA and like the Big Bang, the Model S has exploded on the city, everywhere I go. A shady, apartment lined street in West Hollywood. Abbot Kinney in Venice. BOA Steak House. The Palm Springs Art Museum. Ralph’s parking lot. Sunset Plaza. USC. The 405. The 10. 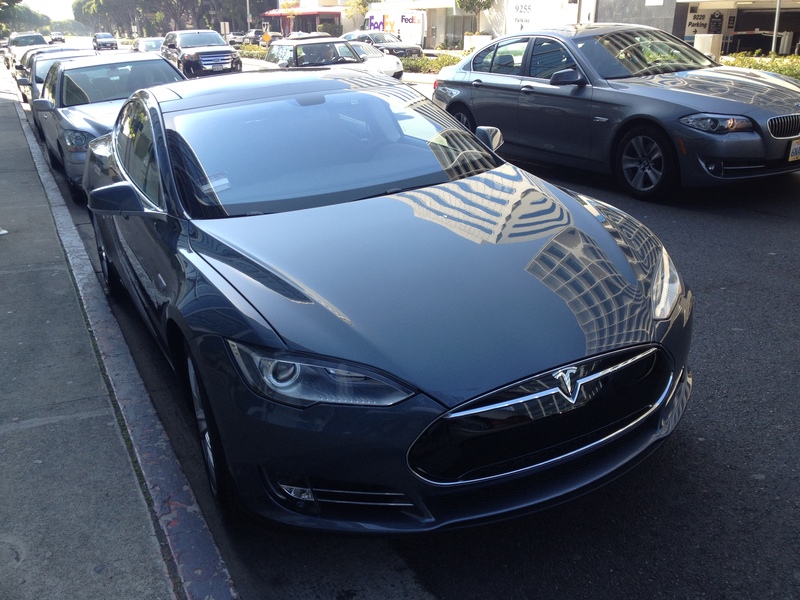 A new 2013 Tesla Model S enjoys Doris Day parking at BOA Steakhouse in West Hollywood. 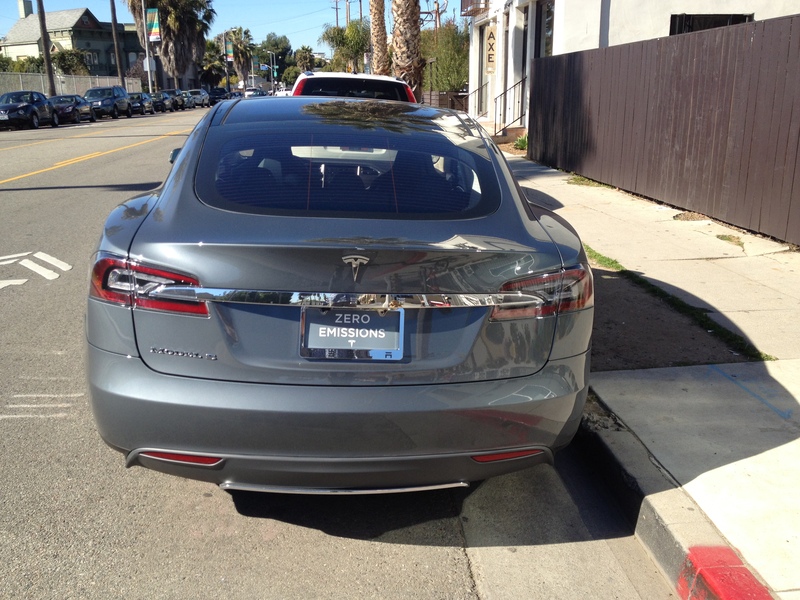 Another new Tesla Model S is able to find a coveted street parking space on Abbot Kinney in Venice. Range anxiety? Not with that big battery pack and the $1,200 optional Tesla Twin Charger that can double the charging speed at home or the office. And if you’re on the road, locate one of Tesla’s Supercharger Stations that can recharge the 85 kWh battery – more than 250 miles of range – in one hour. Pretty awesome. We are witnessing very rare automotive history here in Los Angeles with the life and death of Fisker and the Karma and the rise of the Tesla Model S. I’ve never seen a car become so hot so fast and then nearly disappear to be replaced by another even hotter car — not even when the Hummer disappeared with the fuel spikes in 2008 to be replaced by the Prius. I kind of feel bad for the Karma. She got dumped for a virgin electric with a bigger battery, a dazzling infotainment interface (17 inches!) and sports sedan handling good enough for the exclusive six-figure German mash pit. However, I don’t see too many Karmas being sold into indentured servitude on the resale market. Only a few thousand were ever produced and sold, and none really saw hard time, so while you won’t see many on the road, most will find their way into private collections and museums. As the bankruptcy vultures prepare to dismantle Fisker, we can be sure that Hernik Fisker, while a talented designer, is not destined to be the Henry Ford of ER/EVs, despite sharing his initials. Fisker Automotive will take its place in the sprawling automotive graveyard among such former luminaries as Packard, Duesenberg, Tucker, Studebaker, Pontiac and Plymouth. The automotive business is complex and cut-throat and few start-ups survive. R.I.P. Fisker Automotive. So when you look at the $100,000+ luxury class, the Tesla Model S seems to be ahead of the class. These statistics support my observations that the Model S has transcended the EV range anxiety and it’s overall excellence is attracting its share of the luxury market. This is an amazing accomplishment for the first mass-produced car from a start-up manufacturer. Back in May, when I first noticed the construction of Fisker Santa Monica, I was hoping for Instant Karma. 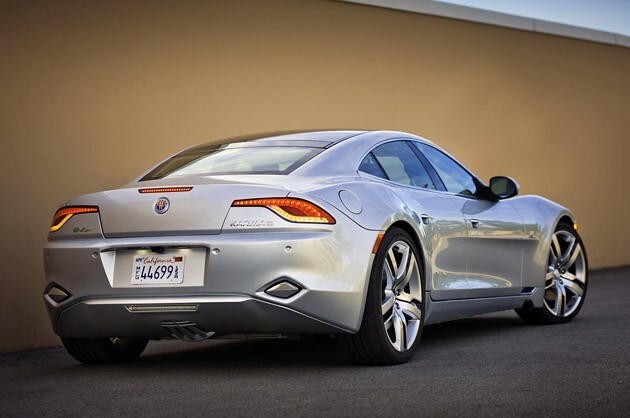 Fisker Automotive’s debut car, an extended range electric vehicle (EVer) dubbed the Karma, was the freshest, sexiest sports sedan I’d seen in a long time. I knew that production had started in Finland (same company that built the Porsche Boxster and Cayman) and that sales were supposed to start soon, perhaps as soon as summer. Well, the store didn’t pop up immediately, but even if it had opened early, there wouldn’t have been anything to put in the showroom as the cars didn’t start trickling into the US until the fall. So the September/October soft opening was the first opportunity the community had to see and drive the fantastic new Karma and Fisker Santa Monica, one of the newest additions to Sullivan Automotive Group’s stable, began showing it at Green car events around LA. Michael Sullivan’s Sullivan Automotive Group does business under the LACarGuy.com banner. Many of you probably bought your car from one of his local dealerships, including Volkswagen Santa Monica, Lexus Santa Monica, Toyota Santa Monica and Toyota of Hollywood (Toyota’s first store in the US). 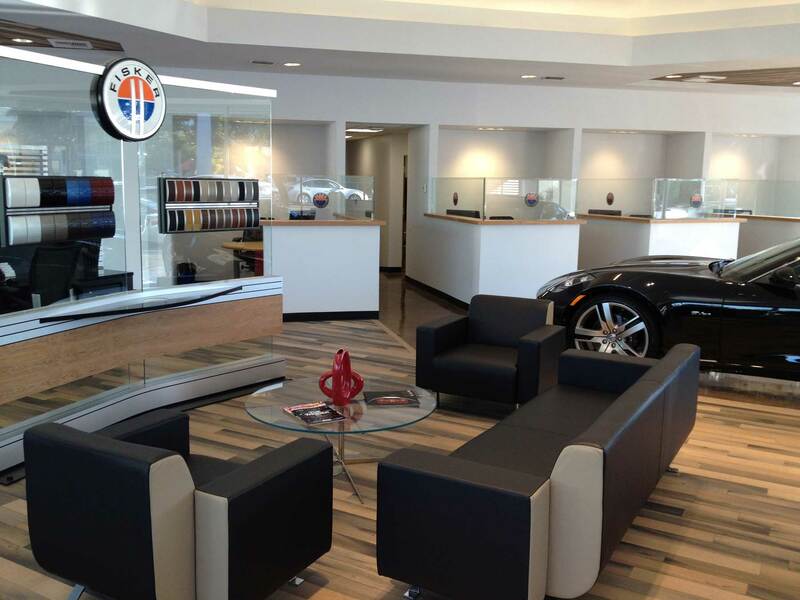 The banner lets you know that Fisker Santa Monica is open and ready for business. 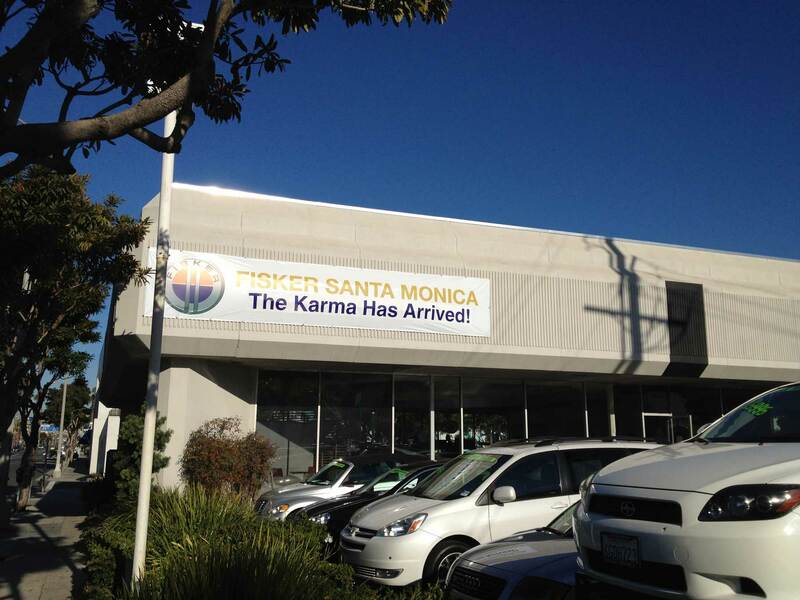 The location at the corner of Santa Monica Boulevard and 25th Street in Santa Monica has its own good Karma. In 1985, it was the site of Sullivan’s Hyundai dealership (no longer part of the group) and in 1989, Sullivan hit the jackpot with the opening of his Lexus franchise. Sullivan rode the meteoric rise of the Lexus brand from the beginning, and now, Lexus Santa Monica, in its new digs at 1501 Santa Monica Blvd, is a classy monument to success. More recently, the site was used as the internet sales office for the neighboring Volkswagen Santa Monica dealership, itself a good luck talisman as it was the dealership that started the Sullivan family in the auto dealership business in 1964. In fact, if you go out the side door of the Fisker store you’re in the pre-owned VW parking lot. Fisker Automotive has had quite a colorful rise, and it’s not without controversy. Founded in 2007 and still privately held, Fisker accepted a federal Department of Energy loan of $528 million which it used to buy a defunct GM manufacturing plant in Delaware. Fisker is in the process of adapting the plant to manufacture the Project Nina, a more affordable, mass-market plug-in sedan around the size of a BMW 5-series. Fisker has signed an agreement with BMW to provide up to 100,000 2.0 liter 4-cylinder turbo gas engines, so no more GM units. Pricing hasn’t been announced, but it should be less than half the price of the Karma. Many question Fisker’s ability to repay the loan; however Fisker optimistically projects production (and hopefully sales) of between 75,000 and 100,000 units by 2014. That’s only two years away, and we have yet to see any concept pictures. The upcoming Karma variants, the Sunset, a convertible Karma and the Surf, a shooting brake (wagon) version of the Karma will be produced in Finland. Projected volume is 15,000 units a year. 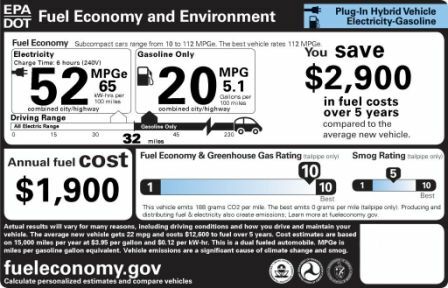 Over the Karma’s gestation period, the price has gone up (no surprise) and when the EPA rated it at 52 MPGe (a combined gasoline an electric driving range), some were disappointed. On gas power alone, the car was rated at 20 mpg – ouch! But what do you expect for a 5,300 pound sports car? The EPA estimates the Karma will travel 32 miles on electrons before switching to the gasoline hybrid mode, although Fisker thinks that number is closer to 50 miles. Only time will tell. More recently, there has been an issue surrounding the Karma’s batteries. A123 Systems says it has identified a possible safety problem with the cooling system on the batteries it supplies for the Karma. Hose clamps on some of the cooling lines are not properly aligned, which could lead to a leak and an electrical short circuit. Massachusetts-based A123 (also a recipient of a federal DOE loan of $249 million) says that the problem only affects around 50 Karmas. A123 and Fisker are already implementing the “fix” and neither company believes it will affect sales of the Karma. 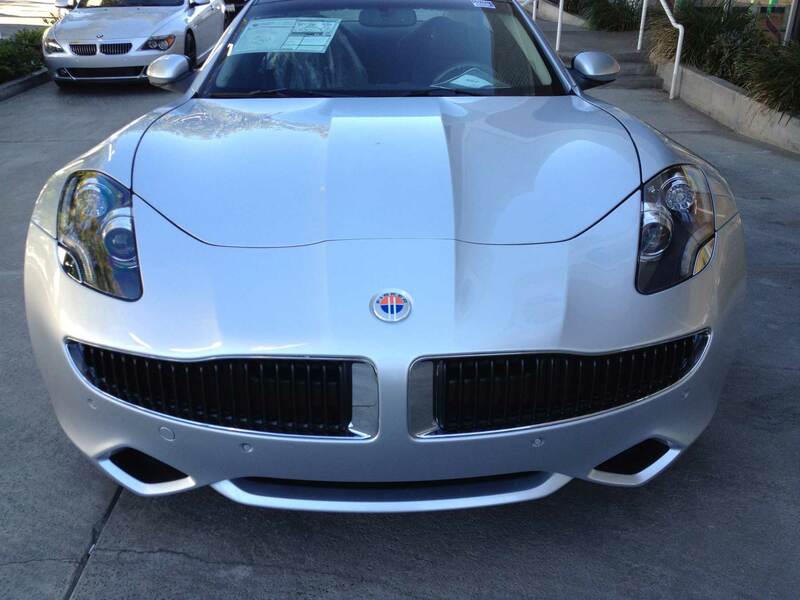 The front of the Fisker Karma screams unique and sporty. I love the Salvador Dali moustache grille. 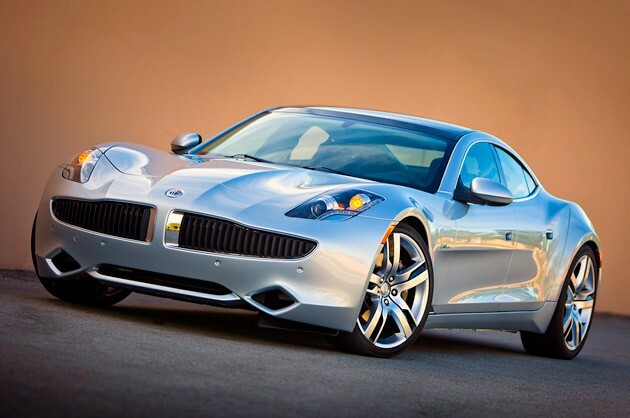 Fisker is projecting 2012 sales of the plug-in Karma of 10,000 – 12,000 units, down from a more optimistic 15,000. However A123 is projecting sales of 5,000 – 7,000 based on its own internal metrics. For the sake of jobs and the economy, I hope Fisker’s estimates are closer to reality. The Karma is similar to the Chevy Volt in that it’s a plug-in electric vehicle that uses a gasoline engine to power a generator to extend the total range. The Karma is powered by dual electric traction motors on the rear wheels, unlike the front-drive Chevy. The gas engine never actually powers the wheels, just the electricity generator. You can plug it into a standard 110 volt wall socket or use an industry standard 220 v charging port. The 20.1 kWh battery pack can fully charge in 6 hours with the 220 juice. Fisker says the EV range is 50 miles with an additional 250 miles available (total range 300 miles) when using the 2.0L direct-inject turbo engine supplied by GM. The electric traction motors produce around 400 hp and a marquis 959 lb-ft of torque. Zero to 60 is 6.1 seconds. I am, at heart, a torque junky, so inject me with nearly 1,000 lb-ft of torque and I’m high as a kite. 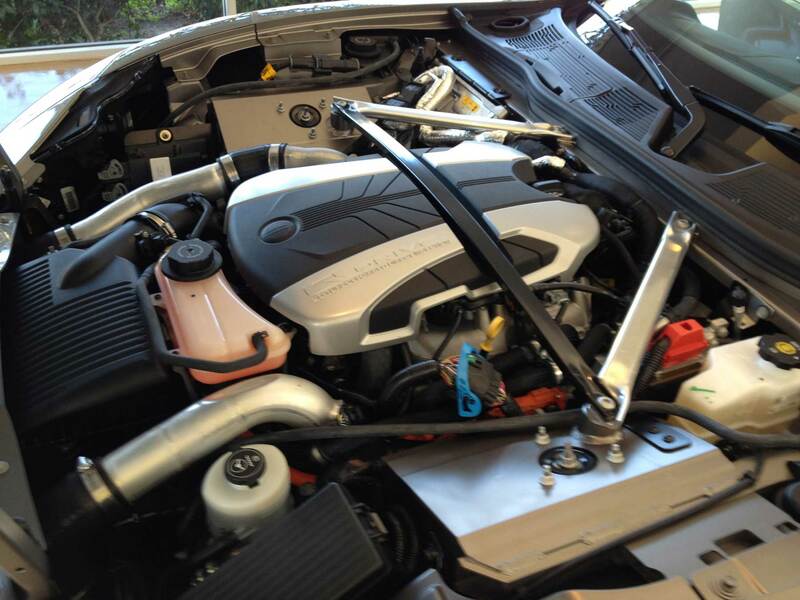 The Fisker Karma's engine bay with a 2.0L direct-inject turbo GM engine. You can drive the Karma in “Stealth” mode (which is using the battery alone) or in “Sport” mode which allows more electrons to flow to the motor and the gas engine kicks earlier and more frequently. Expect your range to shrink if you drive in sport mode with a lead foot. The interior is a splendid place to spend time. All the materials look and feel rich, the switchgear has a bespoke aura and nothing looks like a cheap parts bin collaboration. It’s filled with beautiful recycled materials, including the superb wood trim. You’d never know it was a sustainable interior at first impression; but it’s great bragging rights at the next Heal the Bay fundraiser. The battery runs down the center spine of the car and when you sit inside, you definitely notice its prominence. In the back seat, you feel a bit claustrophobic between the sloping roof, relatively cramped space and the large battery hugging you from the center. Hey, all you Hollywood celebrities and Industry power brokers, you can finally ditch the Prius, the car you drive only to burnish your Green Creds, and pull up to BOA Steakhouse or The Ivy in your Karma. You’ll get front and center placement by the valets. That alone is worth the $100k price of admission. The Karma comes in 3 trim levels: EcoStandard, EcoSport and EcoChic. Fisker doesn’t post prices on its website; but Edmunds.com lists the EcoStandard at $95,900, the EcoSport at $103,900 and the EcoChic at $108,900. The ones I saw in the showroom were at least $107,000. Just so you know, the EcoChic model is “animal free” – which I assume means no cows were sacrificed to upholster the interior. Fisker Santa Monica showroom. Check out those recycled wood floors. Gorgeous. 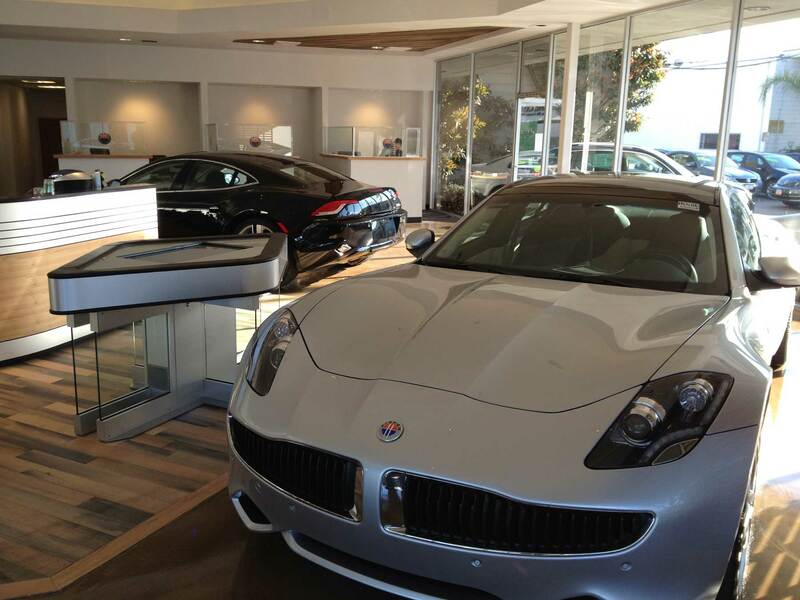 Fisker Santa Monica's showroom has a few cars for you to see and touch. Whatever the 2012 sales projections are for the Karma, I’m confident that Fisker Santa Monica will be Fisker’s sales champ. Comfortably situated in the People’s Republic of Santa Monica where hybrids are the norm, not a curiosity or anomaly, the Karma is the perfect green answer to a Maserati Quattroporte, a Porsche Panamera or a Mercedes SL. The Karma is half the price of an Aston Martin Rapide and it may be more exclusive. According to the sales staff, all the cars in Fisker Santa Monica’s showroom were pre-sold; however, if you wanted to drive one, they have demos. Much of the Karma’s first year production has already been reserved, but fear not, they are still taking orders – just bring your checkbook. And I’m sure they can accommodate Leonardo DiCaprio when his business manager calls looking for one.